21st era is all about smartphone application development. The recent developments in the global technology markets are reflective of the positive-growth trajectories that mobile-optimized approaches and applications hold for emerging businesses and enterprises. Unlike many years ago, where companies as ‘iconic’ as Facebook in terms of their reach and collaboration bandwidth faced initial hiccups to get their social platforms up and running, business of today have easier ways to succeed with their mobile apps. The same holds true for many e-Commerce platforms that were initially not equipped enough to handle sudden increase in demand, traffic inflow, downtime, network latency and other nasty surprises that eventually affected their overall usage. Easier as it sounds in mere words, today’s analysts know that they have the advantage of cutting-edge tools to identify the key metrics and KPIs to measure success rates of mobile business applications. Identifying Relevant KPIs: There are some general KPIs and there are KPIs more specific to the line of business, uses of the mobile applications and products or services offered via those applications. It is necessary for businesses and CTOs to understand the mobile KPIs before going ahead with branding, marketing efforts or rolling out of those apps. Besides, it even requires frequent assessment, testing and analysis of mobile KPIs to make sure the apps are relevant and capable of appealing to the target audience. Mobile Downloads: It is the era driven by smart phones and mobile devices in both B2B and B2C context. Given that about 90 percent of internet time on smartphones is spent of mobile applications, businesses can measure its popularity by keeping a tab of the number of times the app has been downloaded. Mobile Application Installation: Not all mobile application usage are based on the assumption that downloads mean installation! Hence, it is necessary to keep track of installations to know about actual user-base and reach. Signups and Subscriptions: Signups and subscriptions give an insight on the level to which the mobile application users are interested in the content, product or services provided via those apps. Besides actions like subscriptions and signups also help understand users’ behaviour on those apps. User Retention Rates: Retention rate is based on the simple math calculation wherein the businesses should compare the number of users or customers acquired during a certain period and the figure at the end of same period. The resultant figure should be divided by the number of users that signed for the app at the beginning stage. This provides the exact retention rate to understand how many customers are engaging on mobile application and changes in their preferences during a particular time period. User Sessions: The number of times an app is opened or used by the customer or end-user offers enough perspectives about the popularity or success rate of those apps or its ‘stickiness’. 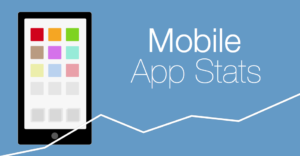 Mobile applications use analytics-based approach to track and measure activities by monthly or daily users. Social Media Shares and Comments: Social media integration features on apps is perhaps the best way to understand what audience or user-base has to say about a particular mobile application and accordingly add features to cater to the customers’ expectations. The likes, reviews, comments and shares on social media is important to understand its reach and success rate. Revenue Per User: It is not just the popularity that helps determine the success of mobile applications, the average revenue made from in-app purchases, clicks, subscriptions, paid downloads and other actions that result in monetization is also necessary. The average revenue made from any form activity with regards to mobile application usage by a single customer into the total number of users gives the actual revenue figure. Cost of Acquiring Customers or Users: The average spending on activities to bring users into mobile applications like marketing activities, advertising, etc should always be lesser than the total revenue earning out of those mobile applications. When the customer or user acquisition costs are high and not generating significant response or revenue, then the business must rethink strategies to make the mobile application more popular and increase engagement. Paid and Organic Conversion Rates: Most businesses do not follow a direct sales channel and with the plethora of opportunities for sales and marketing available on multiple social media platforms, they invest in paid advertising, display ads, sponsored posts, etc. There are businesses that gather customer base through organic ways like word of mouth, PR, influencers and app listings and reviews or any activities that do not involve paid marketing and promotion. ROIs from both these methods of generating revenue or acquiring customers help indicate the success rate of the mobile application in the long run. User Experience: Mobile application developers and businesses running on those apps use a strong set of KPIs to measure the user-friendliness and level of engagement on those apps to incorporate necessary actions and changes. The user experience has direct impact on customers’ opinion on the apps and business. Therefore, it serves as a strong indicator of success of mobile applications. Average Loading Time: It is a well-known fact that online audience have very low attention span. Unresponsive or slow applications with very long loading time discourages users to engage in in-app activity. Therefore, increasing loading speed of screens on mobile applications is a relevant indicator of performance of mobile applications. Tracking Customer’s Devices: Once a mobile application has gathered enough user base, it is necessary to understand the kind of devices like smartphones, tablets and iOS they use to access those apps. Based on those findings, application developers can focus on strategies to enhance customer experience, add functionalities and increase overall performance of those apps. Tracking Customer Data: Once the mobile applications capture customers’ demographical data with the help of algorithms and strong set of analytics on in-app activities and information provided, businesses can identify the crème of their customer base. This helps in strategizing marketing efforts and promotional activities to reach key audience for higher conversion or to make improvements in weak areas. With the onslaught of mobile marketing research platforms, AI and machine learning based tools and methods, businesses have lesser chances of missing out key factors that boost the performance and use of their applications. Those efforts would be unique and relevant to the kind business and end-users they serve.